Award-winning hotel Crowne Plaza Queenstown has a fresh new look for guests to enjoy following upgrades to public areas, rooms and conference spaces. New furniture in the lobby, threesixty restaurant and The Atrium will add a modern twist to interiors. The majority of the hotel’s rooms have large balconies, so new balcony furniture ensures an extra level of comfort for guests admiring spectacular and panoramic alpine views. The half a million-dollar refurbishment also includes new carpets in award-winning threesixty restaurant, the lobby bar area, around the concierge desk and hotel corridors, adding a luxurious look and feel to the property. Conveniently located in the heart of Queenstown’s visitor, retail and business district, Crowne Plaza Queenstown combines the convenience of its downtown location with a peaceful nights’ sleep in a relaxed and comfortable environment. It’s also renowned as the hotel of choice for conference and events bookings, the home of inspiring meetings in an inspirational setting. Crowne Plaza Queenstown Sales and Marketing Manager Kylie Walker said the upgrades would keep the property “front of mind” for guests across the board. “The new carpets and furniture are some of the first things people notice when they walk into the property, and reactions have been very positive,” she said. 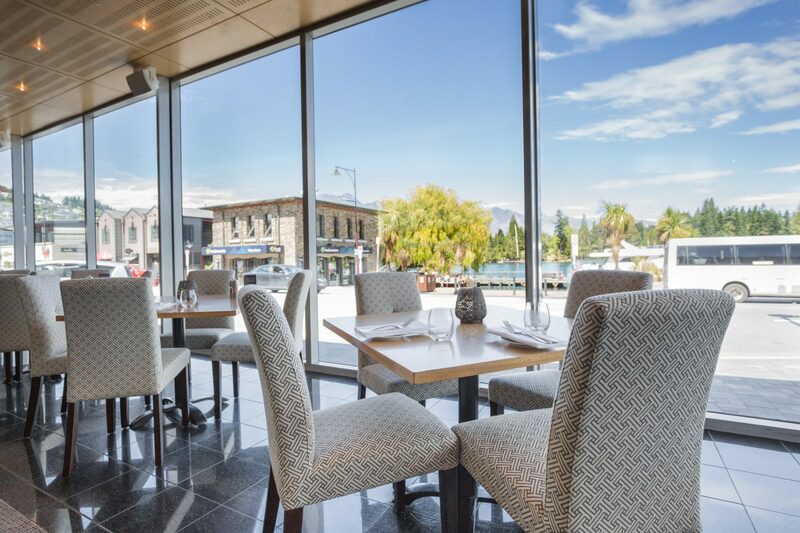 Crowne Plaza Queenstown’s threesixty restaurant and bar on the ground floor are the perfect places to sit back, relax and enjoy breakfast, lunch, dinner or a good coffee. On the first floor, new-look meeting rooms and spaces ensure the hotel continues to lead the way as the hotel of choice for the MICE market, offering rooms to the conference, incentive and meetings markets boasting high-end meeting technology and connectivity. The upgrades include new carpets fitted in all conference and meeting rooms – including Crowne I, Crowne II, Crowne III, and the boardroom – as well as versatile pre and post-function area The Atrium. “From mid-sized conferences to incentive groups and intimate meetings in the boardroom, we host a diverse range of events each year,” said Ms Walker. The hotel’s four meeting rooms look out over breathtaking Lake Wakatipu and The Remarkables mountain range, with floor-to-ceiling windows and balcony access married with black-out capability when views threaten to become too distracting. Last year a new High Tea experience was also launched for the meetings, conventions and business events markets. The High Tea includes a selection of top-quality finger sandwiches, a variety of homemade scones served with whipped cream, butter and raspberry jam, and sweets such as red fruit macarons, a chai cheesecake and an orange crème brulée, all served on a three-tiered cake stand. Click here to visit Crowne Plaza Queenstown’s website. 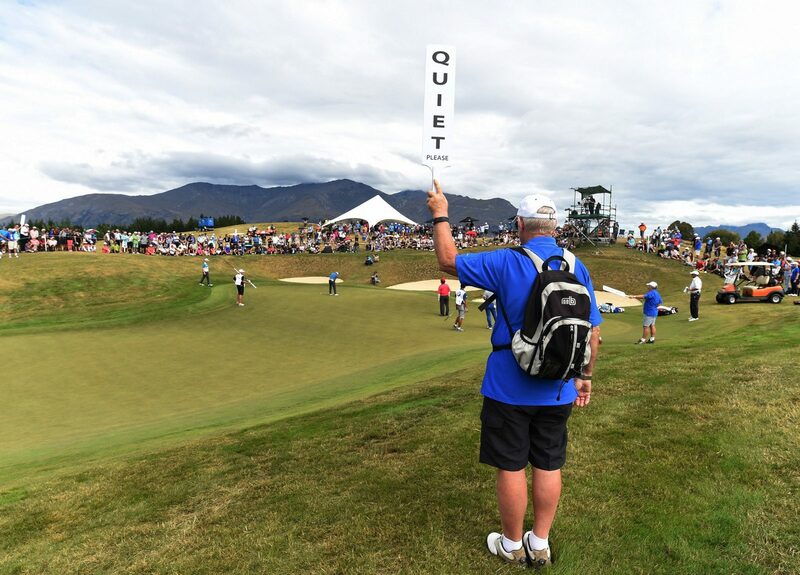 Golf enthusiasts from all corners of the globe have been busy registering to “get inside the ropes” at next month’s ISPS Handa New Zealand Open in Queenstown. Caddies and volunteers from New Zealand, Australia and even as far as California and Scotland will travel to Queenstown to take part in the four-day tournament from March 9 to 12. Organisers are still on the hunt for a handful of enthusiastic caddies and volunteers to make up final numbers to ensure successful delivery throughout tournament week. Arrowtown ‘local’ and Volunteers Manager Richard Hoskin said he’s had a great response so far with over 360 volunteers confirmed for the event. “I’m thrilled with the army of volunteers and it’s down to the last handful of applicants to take on integral behind-the-scenes roles,” said Hoskin. Some score receivers are required for recording and inputting ‘live’ results in the media room, seated amongst New Zealand’s top sports journalists, working closely with walker scorers on course. Twenty volunteers are also needed as course marshals at The Hills on Thursday 9 and Friday 10 March to help manage the flow of the course. Roles include holding up the ‘quiet’ signs, green and cross walkers and directing spectators around the course. A handful of shuttle drivers are required on Thursday and Friday to transport players and caddies to and from Millbrook Resort and The Hills, and between Queenstown and Arrowtown. Volunteers only working the first two days of the tournament can use their complimentary passes to watch the final two days of golf at Millbrook Resort. All volunteers will once again go into a draw to win a spot as an amateur player in the 2018 tournament (a prize worth over $10,000), and there are complimentary rounds of golf on offer too. “A big thank you to those registered to volunteer, and we look forward to an enjoyable and fun tournament week,” said Hoskin. More than 20 caddies are still needed for the tournament and Caddy Master Andrew Whiley is also keen to register 12 local golfers to be reserve caddies. “Caddying for young professionals, the odd celebrity or amateur players is the perfect opportunity to get an insiders’ view of the New Zealand Open,” said Whiley. “It’s also a great way to meet some interesting people from all around the world. Reserve caddies are required to be on hand during morning and afternoon starting times on Thursday and Friday to receive their complimentary tickets to the golf. Unlike volunteers, caddies are paid for their work by their golfer, which can mean anything from $75 a day up to a nice bonus for good performance. There is a $39 cost to register as a caddy, and all caddies will be given an ISPS Handa New Zealand Open golf shirt and hat to take home. There is no cost to register as a reserve caddy. Prospective volunteers can register interest at http://www.nzopen.co.nz/volunteers.html or by contacting Richard Hoskin at [email protected]. Click here to visit ISPS Handa New Zealand Open’s website. Gay Ski Week QT is set to be even bigger and better this year with a brand-new partner; Rainbow Pages. The Southern Hemisphere’s largest gay and lesbian festival is delighted to announce New Zealand business Rainbow Pages is the new sponsor for the event. Rainbow Pages is New Zealand’s first and only platform that connects rainbow-friendly businesses to the LGBTTQI+ community. Launching its App in February, Rainbow Pages is the new directory that helps grow a community of diverse and inclusive businesses and individuals. Rainbow Pages General Manager James Bennett believes the partnership with one of Queenstown’s biggest and best festivals of the year is a “fantastic step” in uniting the LGBTTQI+ community. 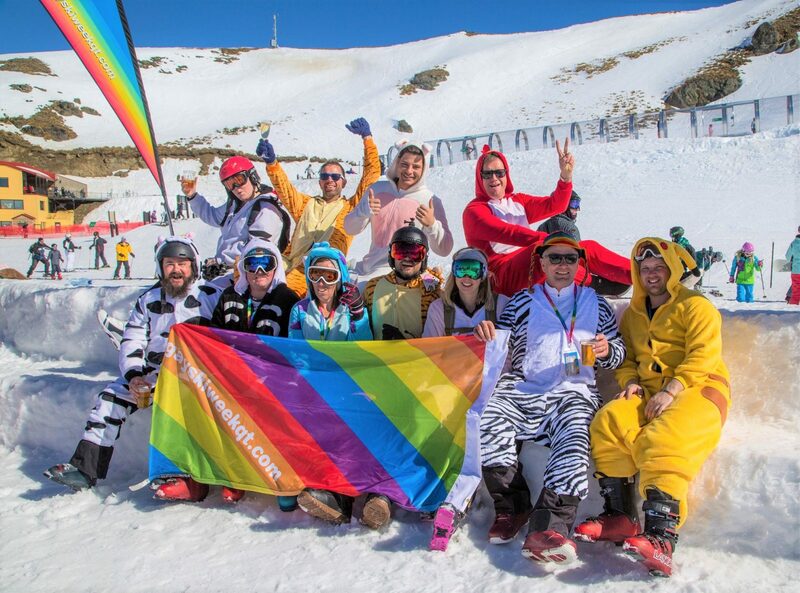 “Partnering with Gay Ski Week QT means we can help to bring communities together, which is what Rainbow Pages is all about,” says James. Gay Ski Week QT has been celebrating diversity since 2002. Since then, thousands have poured into Queenstown to attend the week-long festival, jam-packed with parties, cabarets, foam days, karaoke and much more. This year, as well as its new partner Rainbow Pages, Gay Ski Week QT will launch its rebrand and new website on February 19, where all the dates, early bird tickets and discounted packages will be released. Premier lakefront hotel, Crowne Plaza Queenstown, has welcomed Catherine Bodnar to the position of Food and Beverage Services Manager. 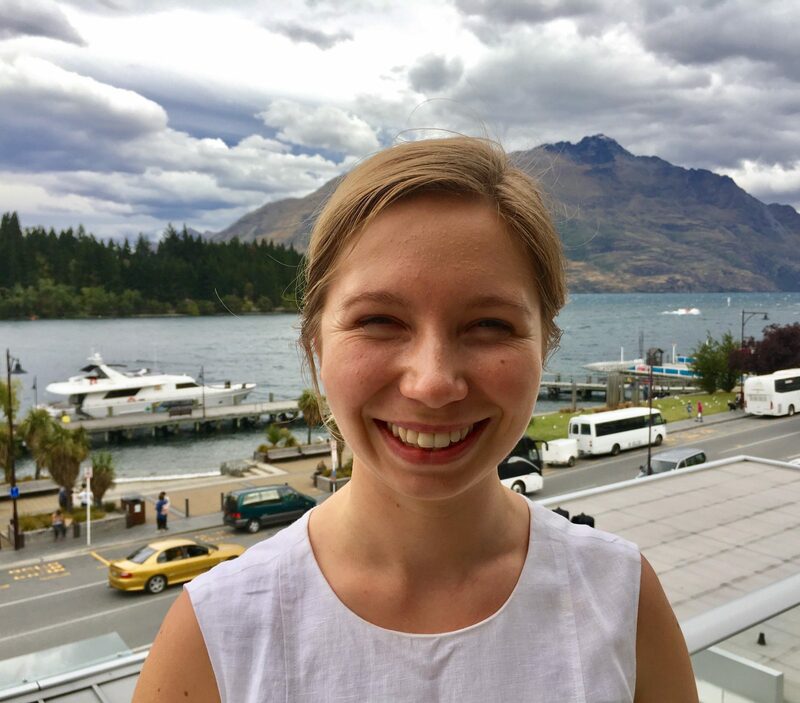 New Zealand-born Catherine Bodnar, 25, has returned to the resort town of Queenstown, where she previously obtained a Diploma in Hospitality Management at Queenstown Resort College (QRC). After working in the food and beverage sector at three IHG New Zealand properties, InterContinental Wellington, Crowne Plaza Auckland and Holiday Inn Auckland Airport, Catherine is keen to “hit the ground running”. “Coming back to Queenstown is like coming home for me,” she says. “I’m looking forward to working collaboratively with my team to drive results and deliver exceptional guest experiences. Her new role sees her managing day-to-day food and beverage operations, banquets for the conference and incentive market, and overseeing 20 staff. Catherine is a graduate of the highly regarded IHG Future Leader Programme, an intensive management programme training candidates to acquire junior management roles in all operational departments. The exclusive programme only accepts ten candidates each year throughout Australasia. Over the past two years, Catherine’s broadened her management experience at Holiday Inn Auckland Airport as Banquets Operations Manager before she was promoted to Restaurant and Bar Manager. Originally from Wellington, Catherine is no stranger to a Kiwi adventure. In her spare time, she’s looking forward to re-acclimate her adventurous lifestyle to the outdoorsy atmosphere in Queenstown. “I can’t wait to take advantage of the huge range of activities on offer!” she says. Catherine’s passion for Queenstown and the industry has been welcomed by Crowne Plaza Queenstown’s acting general manager Sam Swaffield. “Catherine’s enthusiasm is second to none and we look forward to supporting her in her first senior management role,” he says.